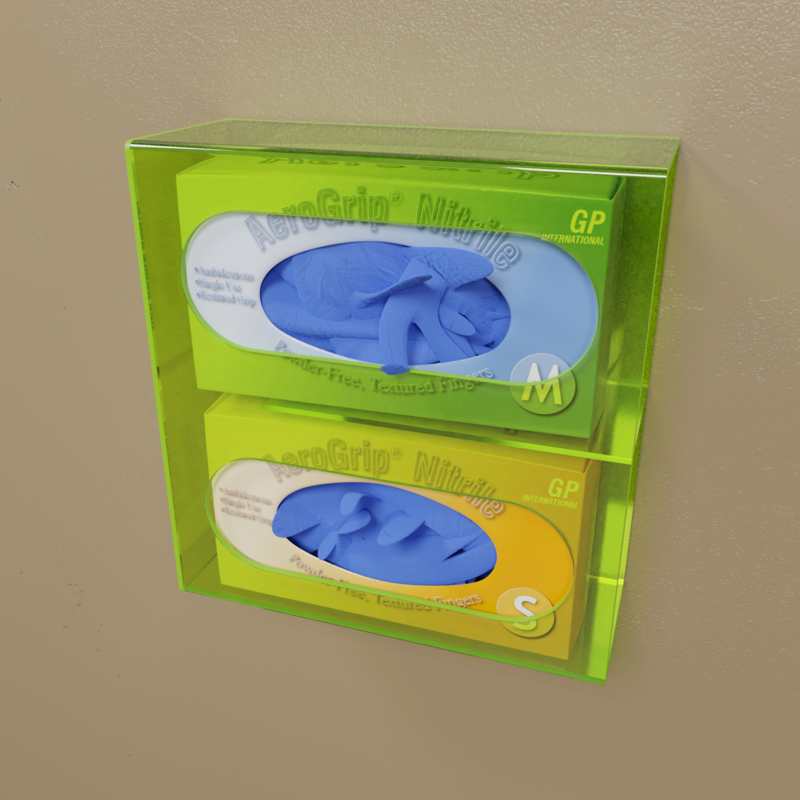 Side mount glove box holders with dividers suspend glove boxes individually. Glove boxes may be replaced easily without taking all of the boxes out. Holders may be mounted horizontally or vertically. Large cutout holes provide for easy removal of gloves. Three sizes are offered: single, double and triple. All sizes are available in clear acrylic, neon red or neon green acrylic. Most glove boxes may be used with this holder. They provide extra support for removal of lightweight gloves from their cardboard boxes. The holders may be mounted in the most convenient location for easy access. Two holes and double-sided tape are provided for mounting to the wall or cabinets.